Nestle into the curves of this luxurious air tub. Its intelligent design incorporates beauty and function. 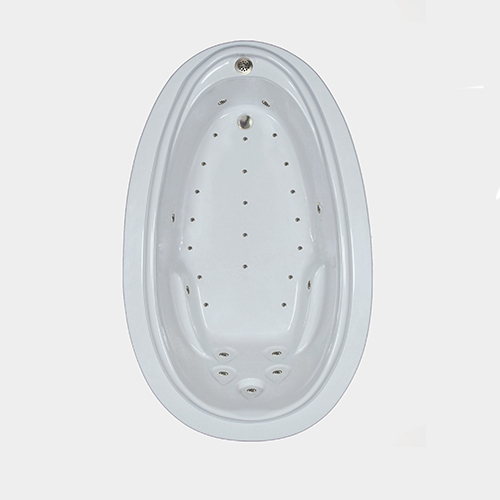 The oval shape of the tub exudes graceful style. 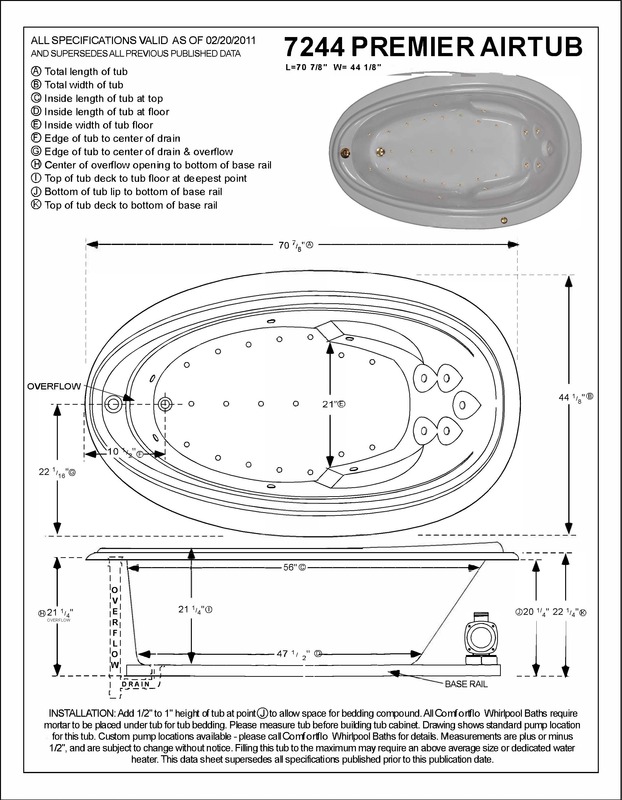 An inset deck and beading detail mirror the tub’s shape and let you get extra depth because of the Top Overflow drain and water channel they provide. Curved armrests and a sloping back are built in to support your body in comfort without intruding on the tub’s clean lines. Five air jets are recessed and dedicated solely to your back, and 25 others are installed on the sides and floor to gently massage the rest of your body.